I have been writing about the highest mountain in the Alps: Mont Blanc, and the trail around the mountain for past several updates. 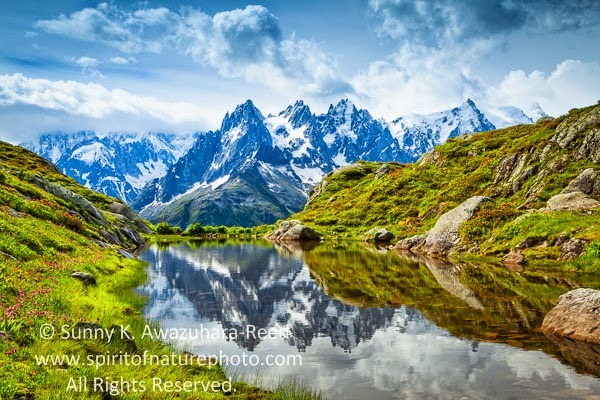 I completed hiking the entire Tour du Mont Blanc trail 110+ miles in July 2014 with camera gear while photographing the spectacular landscape. 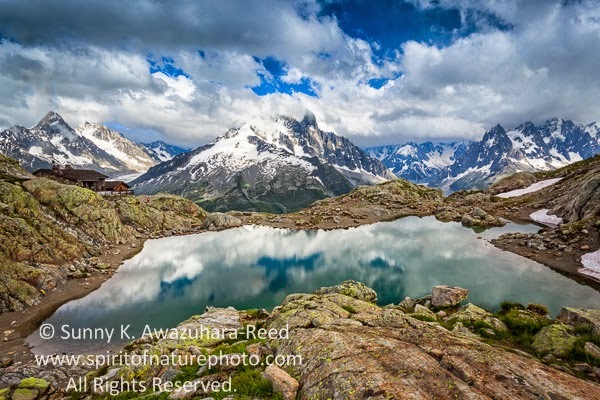 At the end of this story, I'm sharing more images of the Chamonix, France area. I stayed a few days in Chamonix, near the starting point of the journey of Tour du Mont Blanc, before and after the long hike. 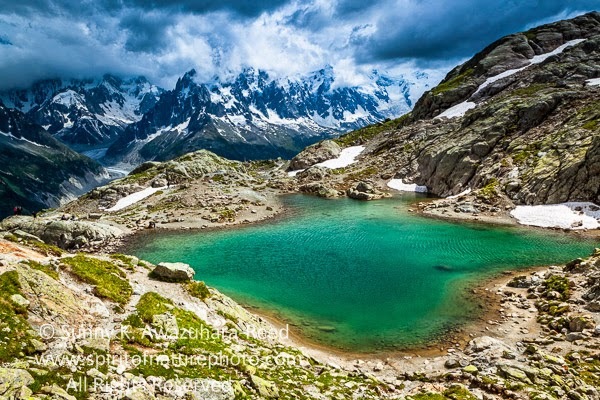 The Flégère to Lac Blanc area, a high mountain range directly across from Mont Blanc Massif, is one of the most scenic landscapes that photographers could ever dream of. I could easily spend several days to just explore and capture the deep green alpine lakes, streams, and the front view of Mont Blanc. The weather wasn't cooperative during sunset/sunrise, here are the some sunshine moments at Lac Blanc. Reflection of Mont Blanc Range on Lac Flégère. 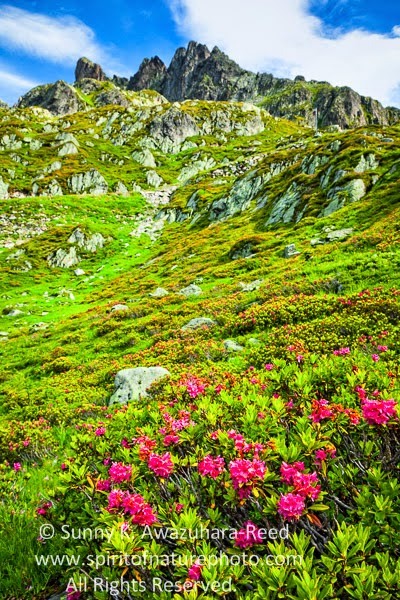 Alpen Rose's vivid pink flowers stand out in the Alps. 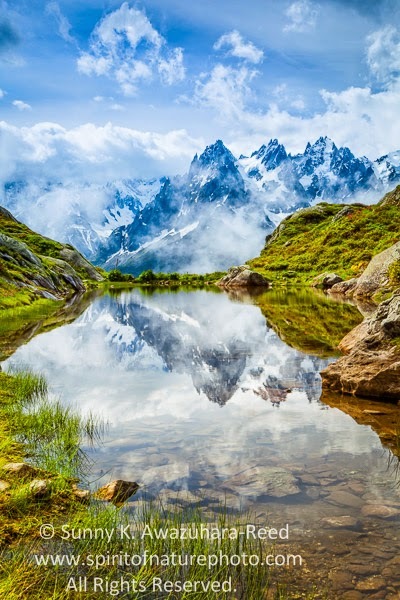 Chamonix area offers so many amazing view spots with easy access via public transportation. 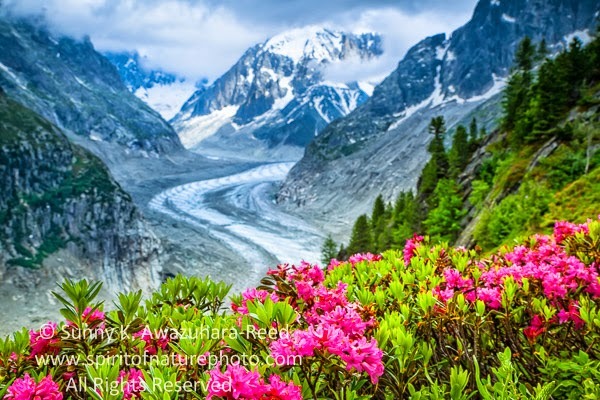 Mer de Glace, the longest glacier in France. 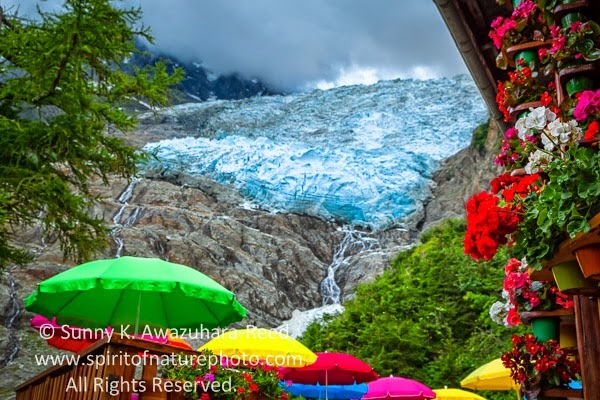 Bossons Glacier, the ice-fall directly down from Mont Blanc. I just loved these colors! 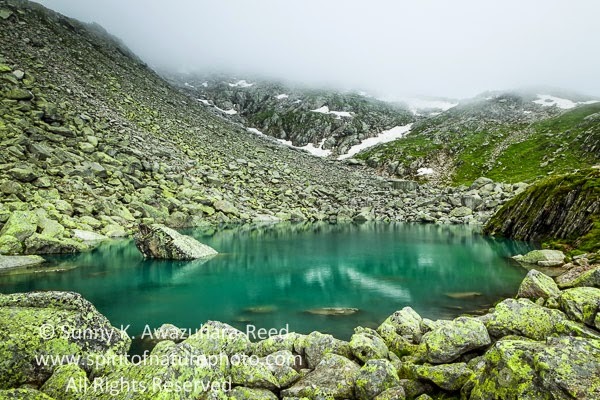 Lac Bleu in the fog... One of the many alpine lakes in Mont Blanc Massif. Well, that's all from the European Alps. I will add some images on my main website soon. On my next blog, I will update some new images from Hawaii. Please check back.